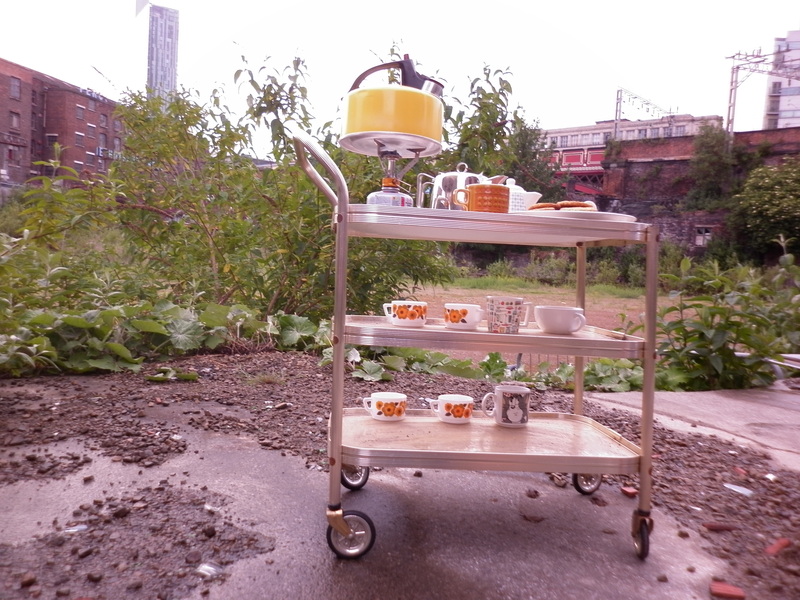 A site-specific show on a runaway tea trolley that paused on a piece of wasteland in the middle of Manchester. I am drawn to unused places, sites that are caught between use, with remnants of their past washed up as they wait for the future. Twenty people showed up on a rainy day in May to sneak through a fence with me and my jangling cups, spoons and kettle to watch the performance. It was my first experiment in solo performance. 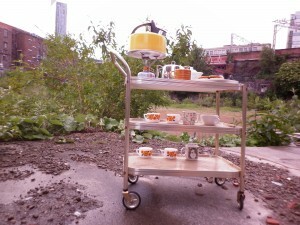 The text explored permanence, time and memory, whilst making a cup of tea against the odds.